I was told on our regular 6 month checkup about 2 years ago that my middle son had a small cavity forming in a permanent molar. Great, I thought. I didn't want any of my kids to go through what I went through, which I will explain in much further detail for next week's "Thievesday." Anyway, the dentist said she'd watch it, so I guessed it wasn't big enough to fill yet. I was so glad, because this gave me an opportunity to try out an all natural product on my son's tooth -- Thieves®. So, when my son got his first cavity, it was such a blessing to have this product to try on my son's tooth! He immediately began using the oil by rubbing about one drop on his tooth every night before bed. He didn't dilute the oil, just used it straight. Thieves® is pretty potent as it has cinnamon and cloves in it, so if you try this be careful! One drop will do the trick. He did this everyday until his next 6 month checkup. I was nervous!!!! I did NOT want him to have to get a filling. The dentist never said anything. Didn't mention a thing about the small cavity she'd seen at the previous appointment. So I didn't say anything either. I figured that no news was good news. I told my son to go ahead and keep using Thieves® like he had been until the next appointment. I was one happy mama!!! Thieves® kept my son from having to get a cavity filled. He actually had a dental checkup today, which I think has been 2 whole years since the cavity diagnosis, and NO CAVITIES! A 30-something dollar bottle of Thieves® is definitely worth EVERY penny if it keeps my kids from having to get fillings. Plus I use it for so many other things, too. Next week I will elaborate and share how it has tremendously helped my own fragile teeth. See you next week! 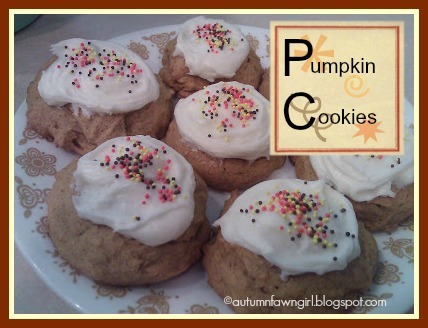 Ever since I saw these pumpkin cookies on Pinterest, I've wanted to taste them! I had no idea how DIFFICULT it was going to be to find these autumn sprinkles. I gave up on my quest for these festive sprinkles, but the other day I happened upon them while I was at World Market. Yea! So glad I found the sprinkles. Warning: these cookies are YUMMY! I am going to include the recipe on this post because I have changed a couple of things - I don't like to use Crisco and I wanted thicker frosting. For the original recipe (and a better photo), visit My Baking Addiction. 1. Cream butter, white sugar, and pumpkin. Add eggs and mix well. 2. Whisk together the baking soda, ground cinnamon, pumpkin pie spice, nutmeg, salt and flour. Add to pumpkin mixture and mix well. 3. Drop by spoonfuls onto cookie sheet. Bake 13-15 minutes at 350°F. 2. Add vanilla and milk; mix well. 3. Add confectioners' sugar about 1 cup at a time until you reach desired consistency; mix well. 4. Top with sprinkles if you wish. I think it is safe to say that my whole family (including my daughter's friend) LOVED these cookies!! Pin It Now! I love Thieves®. So, what's kept me from writing about this amazing oil blend? Yes, time. There are SO many ways I use this oil and SO many ways it has helped my family that every time I sit down to write about it I get too overwhelmed. The post would just take too much time to write. Time in one big chunk that I don't have. That light bulb thingy appeared above my head the other day, and I thought, I could just write about Thieves® in little bite-sized chunks. :) Yes, that is what I will do! Every Thursday, beginning with the one after Thanksgiving, I will write a Thieves® post for the next couple of months. So, if you like using natural alternatives, love the smell of cinnamon, have cavity prone teeth, or just want to learn more about essential oils - stay tuned. My first post on November 29 will be about how I used Thieves® to remineralize my son's tooth. Truly amazing! In the meantime, you can learn a little about Thieves here. Pumpkin Cupcakes ~ Um, YUM! 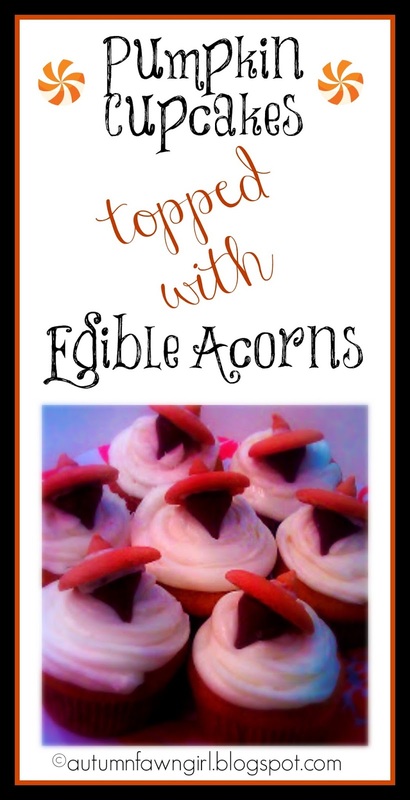 As of last year, my kids and I started a new, fall tradition ~ making Edible Acorns. Easy, fun, and tasty. Can't beat that! *In a mixing bowl, beat pumpkin, sugar, and oil. Add eggs; mix well. Combine flour, baking soda, cinnamon, and salt; add to pumpkin mixture and beat until well blended. Pour into a greased 9x13 baking pan (for sheet cake). Bake at 350° for about 25-30 min. or until cake tests done. For cupcakes, I poured batter into paper-lined cupcake pans and baked for about 20-25 min. Makes about 1 1/2 dozen depending on size of cupcake. **For frosting, beat cream cheese, butter, and vanilla in a mixing bowl until smooth. Gradually add sugar; mix well. Add enough milk until frosting reaches desired consistency. I like to put my frosting in a piping bag then pile it up on the cupcake! This recipe comes from an old Taste of Home insert that had just a few Pumpkin Patch and Christmas recipes. It's where I got the pumpkin pancake recipe and pumpkin stew recipe. Have your kids (or you) ever wanted to take singing lessons? Have you had to say no due to finances? If you answered yes to the first or both of these questions then you might want to consider the Vocal Coach created and founded by Chris and Carole Beatty. Chris and Carole Beatty, professional musicians, have a passion for training singers. They've been teaching and coaching singers of all ages for over 40 years! Whether you're a beginner or a pro, they hope to help you achieve all of your singing goals with their time-tested vocal training CD and DVD products for children and adults. Vocal Coach generously sent two of their products, Teaching Kids to Sing, and Vocal Coach Singer, to members of the Schoolhouse Review Crew. Our family received Vocal Coach Singer, the downloadable version. What is Vocal Coach Singer? Vocal Coach Singer is a professionally produced instructional singing system that teaches and builds upon basic principles which are crucial to achieving an accomplished singing voice. This is a very thorough program that covers everything from proper breathing techniques to good posture and finding and expanding your range to performing confidently and consistently. Vocal Coach doesn't teach a certain style of music, instead it teaches you to apply everything you learn to any style of music. With much practice and dedication, you can learn to sing your best. How much does a program like this cost? 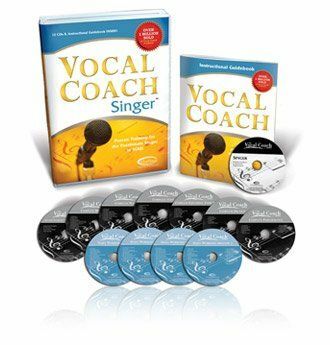 Well, here's the good news -- you can purchase the Vocal Coach Singer 12 CD package for just $119.99. For MP3s the cost is $99.99. This program provides the equivalent of over $2,000 worth of personal coaching time! This is such a great deal in my opinion and a great alternative to private lessons. Recently, our boys have shown an interest in music. Our 10-year-old bought an electric drum set, and my husband and I helped our 13-year-old purchase a keyboard. Because we can't afford professional lessons for both of them, they've been teaching themselves the best that they can via the Internet and library. While they are making progress, doing everything on their own can be frustrating and exhausting at times. So, it's been really great having the opportunity to review a product like Vocal Coach Singer. We're definitely in the beginner category, so we took it a little slow. We'd spend about a week listening to each CD and putting techniques into practice. My kids were definitely surprised by all of the "work" that goes into singing. We even did the recommended exercises before each session -- for me it was a good excuse to squeeze some crunches into my day! When we got to the part where we learned about range it was a little challenging, well, because I wouldn't have known what to play on the keyboard! Fortunately my son had learned enough to help with that. Having a keyboard or piano handy would be helpful for this session if you don't already know your range and aren't familiar with terms like soprano, alto, tenor, etc. We really didn't use the lead sheets or singer's journal the first go 'round. I wanted us to get a good feel for the program first, plus none of us can read music. The guidebook does provide a lot of constructive information like how to get the most from your training and how to take care of your voice. It also provides a picture of what your posture should look like, which was helpful. Definitely a great resource for the serious student! My oldest son says he wants to go back through the lessons independently. You can schedule an online training session if you do want additional help. All you need is a webcam and a phone or computer microphone. A 45-minute session costs $89. Overall, I think Vocal Coach Singer is a quality product that is worth every penny. Now this is coming from someone who is NOT a singer. I am not sure if professionals would find much of the information too basic. Hop on over to the Schoolhouse Review Crew and see what others had to say about Vocal Coach. 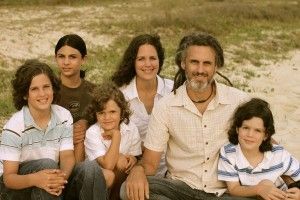 Growing Up Wild is a DVD series featuring a beautiful missionary family (with super cool hair!) who lives in the remote jungle of Papua, Indonesia. The family includes Dad (Mike), mom (Libby), and 4 brothers: Morgan, Hudson, Kian, and Asher. In the series they share about daily life in the jungle and about the environment in which they live. They also share about the Wano culture, the tribal people with whom they share the Gospel. Growing Up Wild was created with a specific purpose in mind. 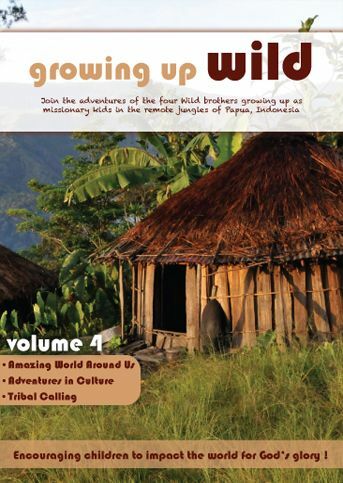 Here's what the Wilds have to say about it: "The "Growing Up Wild" DVD series was developed for the purpose of introducing children to the work going on in foreign mission field. 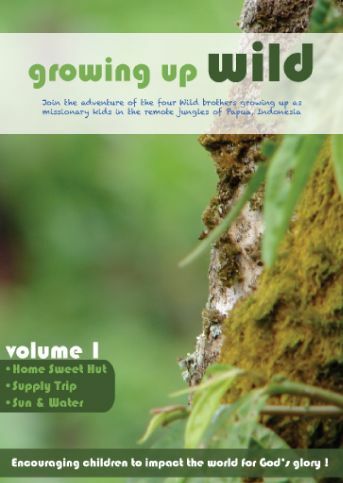 Our hope is that "Growing Up Wild" will educate and challenge your children, and be used by the Lord to play a part in raising up the next generation of missionaries!" Learn a little more about the Wild family by watching this video. There are a few more videos about them here. Each volume features three 15-minute episodes including an activity guide for each. My kids liked the episodes so much that they would watch all 3 at once! For the most part mom narrates, but their life as missionaries is told through the eyes of the Wild brothers. *Supply Trip - See how the Wild family brings food and other supplies to their home. It definitely takes careful planning and even courage (at least it would for me) to endure the ride in a tiny bush plane. *Sun and Water - See how the Wilds cleverly harnessed the sun's power and rushing mountain stream in order to provide running water and electricity for their home. *Amazing World Around Us - See all of the different kinds of creatures, like pythons and stick bugs, that live in the jungle. This episode focuses on God's amazing creation. *Adventure's in Culture - See how the natives, the Wano people, of Papua live. This was definitely interesting since some of their customs are so different from our own. You won't want to miss the nose piercing of the septum for sure. Made my eyes water just watching! *Tribal Calling - See how icebergs, missionaries, and the body of Christ are alike and hear firsthand how the Wilds knew without a doubt that God had called them to Papua. Each volume costs $18.99 plus shipping and handling. Save 15% by purchasing all five for $80.99 plus shipping and handling. The activity guides are meant to be just that -- guides. The Wilds encourage families to tweak the activities to fit your specific group and environment. There's a lot of room for much creativity. Activities include things like: reading Scripture, exploring your surroundings, researching topics on the Internet, defining words, taking field trips, making crafts, completing worksheets, and more. What we did: I incorporated some of the recommended Scripture reading into our morning Bible time together. My 10-year-old son tried to build a Wano hut, but he became a little frustrated that his poles wouldn't stay together. Last I saw it was in his trashcan. :( We all worked on the Culture Worksheets together which are provided in the volume 4 activity guide. With these worksheets you compare the Wano culture to your own -- type of clothing you wear, what your house is made of, how you travel, what you eat, and things like that. Most of the Wano culture boxes have been filled in, but an answer key is provided for the Wano blanks. It's really neat to see how other people in the world live. I appreciate the Wilds sharing about their life and how God is using them to impact the world. Through Growing Up Wild, it is their heartfelt desire that this DVD series will spur others on to live for Christ and that God would receive all the glory. I love that their focus is on Christ alone. I love that they don't make anyone feel pressured into becoming a missionary or guilty for not being one. My desire for my own children is the same as the desire of the Wild brothers' mom -- “Whatever the Lord has planned for your life will be the best for you." I really liked their iceberg analogy in the Tribal Calling episode. They said missionaries are like the tip - visible, and that underneath the surface is the main body of the iceberg - the support (the body of Christ). You'll have to watch to get all of the details! My kids and I made our own icebergs with the help of the iceberg picture included in the activity guide. Since we are not on the foreign mission field, we personalized the iceberg to fit our family. 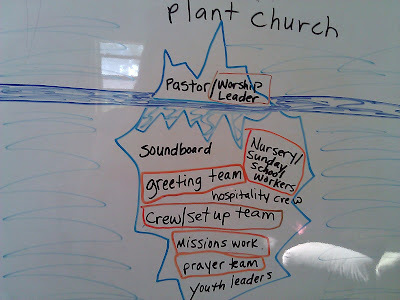 Our family was called to help with a plant church a couple of years ago, so our iceberg reflects this. My kids helped to fill it out and mentioned that the worship leader should be a part of the tip of the iceberg - I think they are kind of partial since that position belongs to their daddy! ;) I love that our kids have been a part of this church since the beginning. We meet in a school, so there is A LOT of work involved every week! There is so much more than what we put on our iceberg, but it was nice having a visual of where we all fit in. Anyone and everyone will be blessed by watching the adventures of the Wild family. Our whole family was captivated! 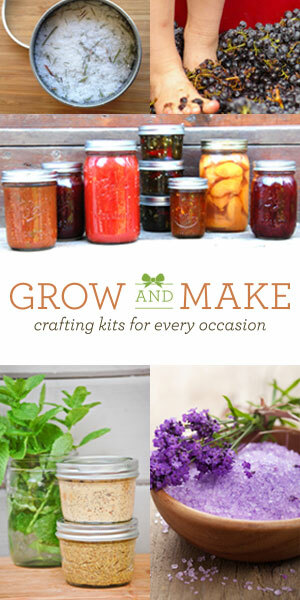 Because of the activity guide that is included, these DVDs can be used alongside homeschool or Sunday School curricula. It's intended to be used with children ages 5-12, but like I said before, anyone and everyone will enjoy. Find out what other Crew Members are saying about Growing Up Wild! Grace & Truth Books is an online Christian Bookstore dedicated to providing customers with material that will glorify God and strengthen believers in their walk of faith. They cover a wide range of subjects for people of all ages -- Children, Youth, Men, Women, Family, History, Theology, Biography, and Education. They also carry a variety of Christian music CDs. 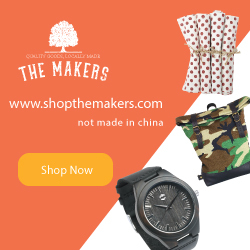 This is a company that is more concerned with quality than trendy. I find that refreshingly admirable. 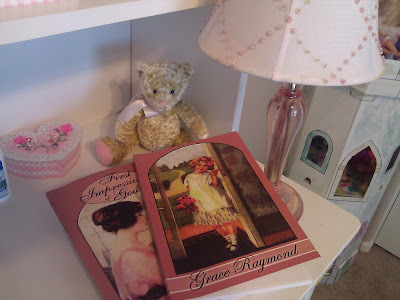 I received two books to review, First Impressions of God: The Story of Emily Tappan and Grace Raymond: The Evil and Cure of a Passionate Temper. These two books are part of an 8-volume series -- "The Children's Heritage Series -- Girl's Collection." Our classic set of 19th-century reprinted stories for girls. These contain some of our most spiritually enriching books for girls ages 8-14, in fascinating stories that have been loved for almost two centuries now. 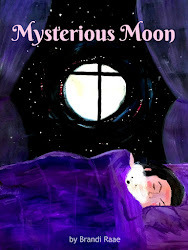 Also very suitable to read aloud with younger children or for family reading. Includes 8 books, all originally published by the American Tract Society in the 1800's. The entire paperback set can be purchased for $39, a 20% savings. 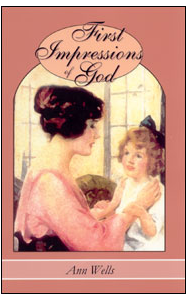 First Impressions of God by Ann R. Wells was originally written in 1856 -- isn't that neat? Reading old books gives me goosebumps. :) I like to imagine mothers and daughters reading these books together for the first time over 150 years ago! Emily, the main character, is a very young girl who is introduced to God by Mary, her playmate. She's curious and surprised that her own parents haven't told her of "this Great God." Unfortunately her parents don't know God personally as her friend and others in the book do. I chose to read this book aloud to my 7-year-old daughter. Together we followed Emily on her journey of coming to know God and learning how He speaks to us through His Word, in nature, through His providence, by our conscience, by His Spirit, and by His Son. I found it interesting that such a young girl was truly wrestling with such weighty matters. If I hadn't witnessed this struggle in one of my own children at a very young age, I might believe it not possible! Emily knew she really didn't love God much less understand Him. I think it's imperative that young children realize, like Emily, that they are sinners in need of a Saviour. This book beautifully illustrates this battle of the soul. As language goes, it simplifies over time, so I had to use simpler, more modern words to explain the ones that sounded so prim and proper in the book. Don't get me wrong, the language in the book is beautiful, but I know my 7-year-old wouldn't have done very well reading it on her own. Grace Raymond is the title and also the main character of the story. The website says the author is unknown, but inside the book it says by a deaf and dumb lady. Not sure what to think about that? Grace is an ornery 13-year-old girl with a horrible temper. Though she's being brought up in a Christian family, she struggles with seeing some of her faults as sinful, in fact, she defends her ugly behavior. How many of us parents can relate to that?!!!!! I am having my daughter read small portions of this book aloud to me everyday. I am using this book as practice for her to learn how to read aloud well -- paying attention to punctuation and pausing in the appropriate places, taking time to sound out unfamiliar words, and reading with an interesting voice not a monotone one. I introduced her to dictionary.com, and we look up all the "big" words she doesn't know from her daily reading. Grace comes to realize, after causing her sister injury, that allowing anger to rule in her heart was destroying her and would only grow, leading to worse and worse sins of hate and animosity. Through the influence of a kind teacher, Grace learns the way of salvation in Christ, and who can save her from her sin, so that she becomes an exemplary model of patience and longsuffering, to her family and all her friends. One thing I am really appreciating about these books is the fact that children's inappropriate behavior is called out for what it is -- sin. Both of these books show children the only remedy for this "problem" -- true repentance and belief on Jesus Christ. After that comes sanctification -- denying the flesh, and acting on faith by obeying God's Word. In my opinion, that hits the nail right on the head! 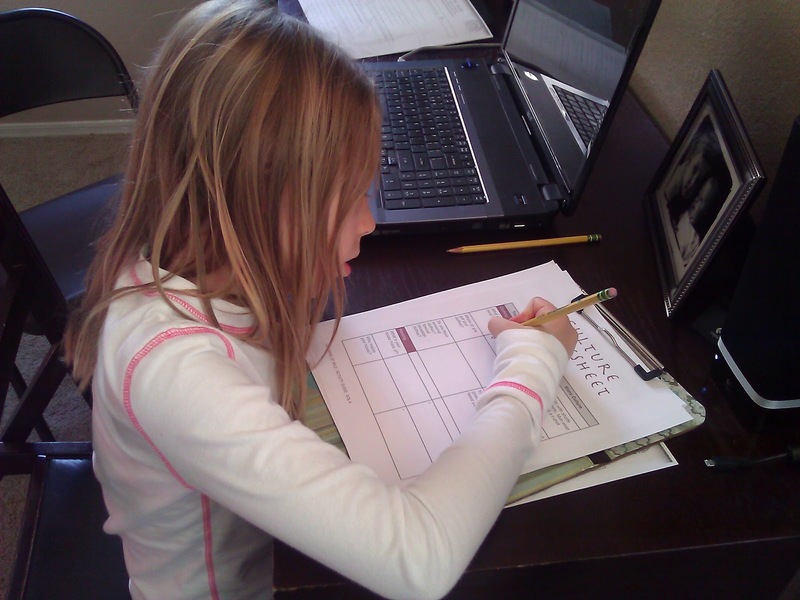 Apologia Educational Ministries, Inc.™ has been a part of my homeschooling adventure since the very beginning. My children and I love their science curriculum and continue to be amazed by each new book about God's amazingly fabulous creation! A few months ago, I had the privilege of reviewing Apologia's, I Don't Have Enough Faith to Be an ATHEIST, which I found extremely interesting and very informative. Because I have been impressed with Apologia's outstanding, quality products so far, I didn't want to pass up on this present opportunity to review Journeys of Faithfulness by Sarah Clarkson. Sarah Clarkson has a way with words. She uses her sanctified imagination to transport the reader to places and times past. Historical fiction happens to be one of my favorite genres, so this book/devotional was quite a treat. Journeys of Faithfulness could be called "Biblical Fiction," I guess. The characters and settings are very real while the intricate details are imagined. Sarah zeros in on 5 familiar and faithful women of the Bible, and the parts of the book are divided as such: Mary & Martha; Mary, the mother of Jesus; Esther; and Ruth. In each part, Sarah immediately draws you in to the scene surrounding a specific character and event. She crafts an imaginary story incorporating details and spoken words of the true Biblical account. As I was reading, I felt truly connected to these ordinary yet courageous women; I felt that I could relate to them on a deeper level. They became REAL. Not only did I feel connected to these women of the Bible, I felt connected to the author as well. There are 3 chapters in each part of the book, and after each chapter (12 in all) Sarah shares her heart in a devotional. She relives past experiences and gives insight to truths she's gleaned from walking the road of faith. The devotionals after each chapter were probably my favorite part of the book. I love hearing how God works in other people's lives. Sarah's transparency is comforting. I loved the Courageous Beauty devotional, it really spoke to my heart. Thank you Sarah! I realize we women are all so much alike -- we're all diamonds in the rough being cleaned, cut, and polished by our Heavenly Father until we reach our full sparkling potential! After each devotional is a Bible study. There are a few verses to look up and ponder, and there are also questions for the reader to answer following each verse. The questions relate back to the previous story. Following each Bible Study is a Journey Journal, a place for the reader to record her own personal thoughts and reflections. So, to recap, there are 4 sections in each chapter: Story, Devotional, Bible Study, and Journey Journal. View the Table of Contents for Journeys of Faithfulness. Read a sample chapter, Learning to See, about Mary and Martha. I would highly recommend Journeys of Faithfulness for moms and their daughters and any other young women for that matter. I think it would be really sweet to go through this book with my daughter, however, she's only 7, and I feel she's just too young yet to appreciate the depth of this book. I have been reading it by myself (I am almost done!) trying my hardest not to underline or highlight anything because I want to save it for my daughter for when she's older. Journeys of Faithfulness is precious and delicately feminine, yet strength, honor, faithfulness, and courage are character traits that serve as the backbone of this book. It's the perfect combination for modern day girls who desire to walk in a manner worthy of the gospel. This softcover book retails for $13, and would make a great Christmas gift for all of the lovely young ladies in your life! Check out what other Crew members are saying about Journeys of Faithfulness.